The meaning expressed through a musical composition cannot be fully understood by ever more detailed examinations of the nature and character of individual notes or segments of time within the whole composition. While a greater understanding complex systems can be extracted by this method, ever greater focus also has limitations and understanding can actually reach a point of negative return. Detailed examination of systems crosses a boundary where the greater detail with which the system is examined, the less the system as a whole is understood. A fact that often goes unnoticed among us; the more detailed our focus, greater role assumption plays in filling in the gaps of understanding the whole context of which that focused part resides. If we use a translator such as translate.google.com, the English sentence “Meaning can quite easily get lost in translation.” becomes “Significado bastante fácil perderse en la traducción” in Spanish. If the Spanish is then translated to Arabic it becomes يعني من السهل جدا أن تضيع في الترجمة, and if this is translated back to English it becomes “Means very easy to get lost in translation.” An important point is that the loss of meaning, which is not too severe in this case, happens whenever things are translated. If we were to hear someone without a full command of English speaking the sentence “Means very easy to get lost in translation.” we might not be able to fill in the correct gaps to accurately get back to the original meaning. Although we tend to believe what we see, if we begin to honestly examine all the places where we fill in the gaps to form our perceptions, we can begin get a better grasp on how much humility is appropriate on the certainty with which we carry our beliefs. One example of how this works is in vision. In crude terms, our eyes are stimulated by various frequencies of light. This stimulation is translated by special cells and specialized proteins into signals that are carried through the optic nerve and pathways to the occipital lobe portion of our brain. This portion of our brain translates the signal into what we perceive as vision, but this process also involves many translation steps where missing pieces are filled in along the way. For instance; our peripheral vision is color blind, there are specific blind spots in our eyes, and our brain essentially bridges one scene to the next when we move our eyes by filling in the blurry gaps. We experience a continuous color image, but that is because of a “filling in the gaps” translation effect, not because of accuracy. If we were to place the inherent inadequacies of the means by which our method of perceiving the world exists, we can also see why some people hold ideas that appear irrational to others. We can see how tribal “in group”, “out group” divisions emerge in social environments. In fact, we can also see how culture and division emerges throughout the world, each division thinking it sees things clearly and all other views are false. We can also see how it is possible to be removed from the context of the whole in such ways that our individual positions could easily be irrational at the same time they look completely normal and correct to us. To illustrate this more clearly, let’s ask the question; “Why are so many of us more concerned about such things as a new TV, taxes, or the stress of traffic in the context of a world where 16,000 children die of starvation every day?” The answer is not as simple as “we don’t care”. A starving child crawling on a sidewalk next to a vehicle stuck in traffic would probably prompt most of us to get out immediately and do something about it. Why? Because there is much less lost in the translation due to its proximity. 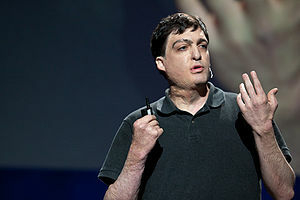 To understand this effect better we can look at the work of the Behavioral economist Dan Ariely. He studies the bugs in our moral code that arise due to the way we translate information. He applies it to better understand the often hidden ways we think it’s OK to cheat or steal, but it also applies to all aspects of our perception, culture and our experience of life. He calls the concept “predictable irrationality”. Think of a person; lose sight of people, think of people; lose sight of a person. This entry was posted in Practice, Wisdom and tagged Awareness, Biology, cooperative nature, cooperative relationships, culture, fulfillment, Nature, Neuroscience, philosophy, science, society, truth, unified purpose, wisdom. Bookmark the permalink. I find that this TED talk video is a good reminder to how important it is to stay curious and reexamine our assumptions and beliefs about situations. It is humbling to know how fallible our perceptions and intuitions are. I really enjoyed this, thank you! I was not familiar with Dan or Ted.com so you gave me a whole new avenue of things to start exploring.